This teapot has a fresh, modern design without frills. All elements are proportionally right. The round shapes soften the clear-cut lines. The eye is automatically attracted by the harmony of the teapot. 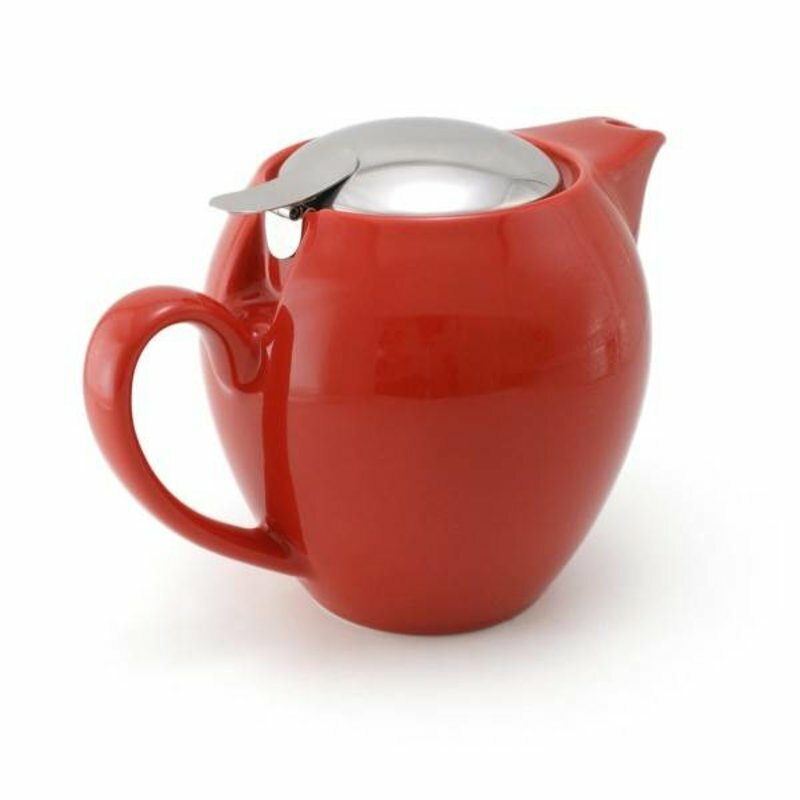 All teapots have stainless steel infusers and clip-on lids that are removable for easy cleaning. Before each use check for tightness of the clip on hinge. If hinge connection becomes loose, increase tension by pressing sides of clip-on hinge closer together as illustrated. While brewing tea, the ceramic teapot, stainless steel lid and infuser will become very hot, and caution should be used when pouring tea. Keep teapot away from children while in use.